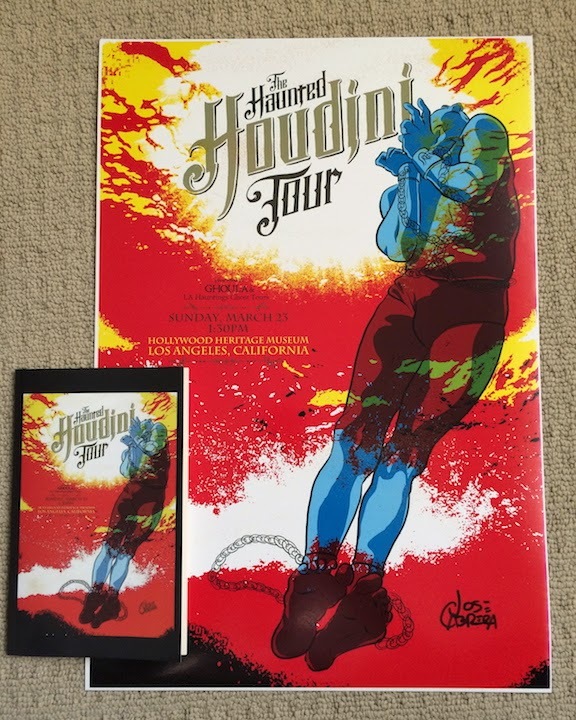 The Haunted Houdini Tour poster and booklet. 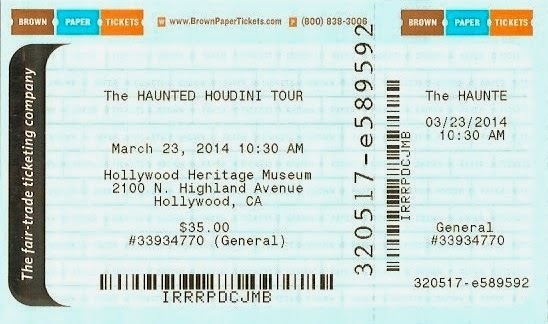 On Sunday, March 23, I had the great pleasure of taking "The Haunted Houdini Tour" of Los Angeles. 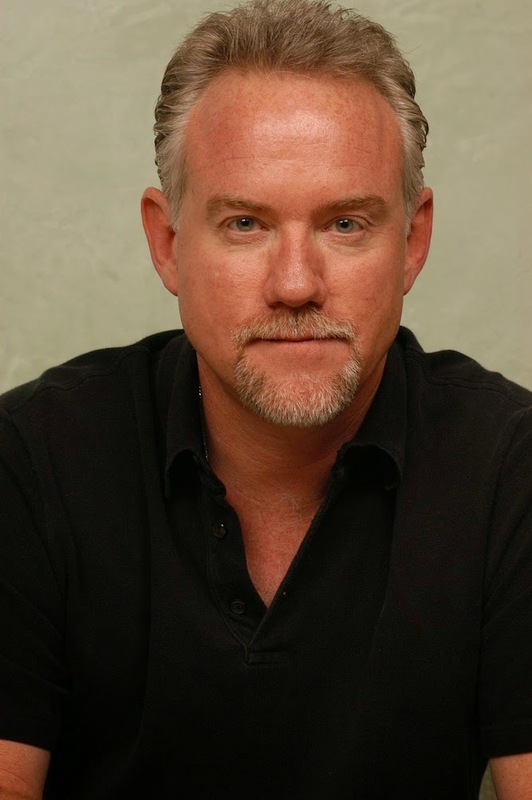 This was a co-production of GOULA and LA Hauntings and was conducted by renowned ghost hunter, Richard Carradine. I was expecting to have a good time with my fellow Houdini buffs, but I frankly didn't expect to learn anything that I didn't already know about Houdini and L.A. Well, I'm happy to report that Richard knew his topic and this tour did provide me with a few revelatory moments. So let's hit the road! I elected to take the 10:30am tour, which was the first of three tours planned for the day. Joining me were fellow Houdini nuts: Joe Fox, Joe Notaro (HHCE), Mark Willoughby, and my father, Ronald Cox (not a "nut", but integral in the formation of my Houdini mania). We gathered and met tour guide Richard Carradine in front of the historic Hollywood Heritage Museum across from the Hollywood Bowl in, you guessed it, Hollywood! This was actually our first Houdini location. The 101-year-old barn that houses Hollywood Heritage was once part of the Famous Players-Lasky Studio where Houdini made The Grim Game and Terror Island. Yes, Houdini walked through these doors. Richard Carradine, Joe Notaro, Mark Willoughby, John Cox, and Joe Fox. 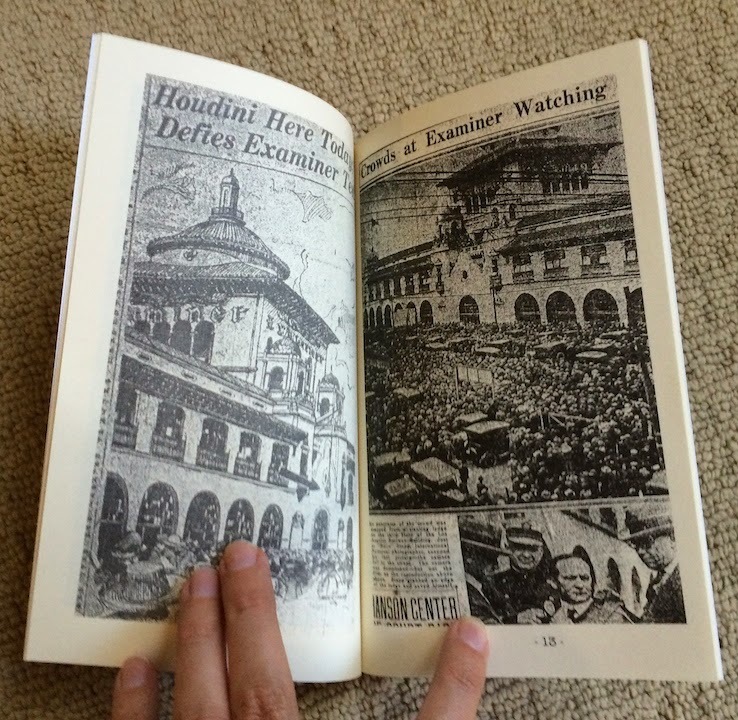 Twelve of us loaded into a black van, and the first surprise was that Richard handed out a special 30-page tour booklet he had prepared with photos and news-clippings related to Houdini and Los Angeles (collector alert!). Some of the clippings were new to me, including one with a photo of Houdini and director Cecil B. DeMille that I've never seen before. There was also a clipping that made my jaw drop as it solved a recent mystery discussed here on WILD ABOUT HARRY...but let's save that for when we get there. We left the museum and plunged into Hollywood for our first location at the corner of Selma and Vine. This is where the Famous Players-Lasky Studio once stood. 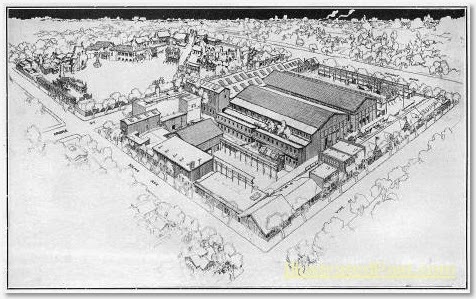 As I said, this is where Houdini made his two Hollywood features, The Grim Game and Terror Island, and where the Hollywood Heritage barn originally stood. For years it was a parking lot. On this day it was being cleared for construction. 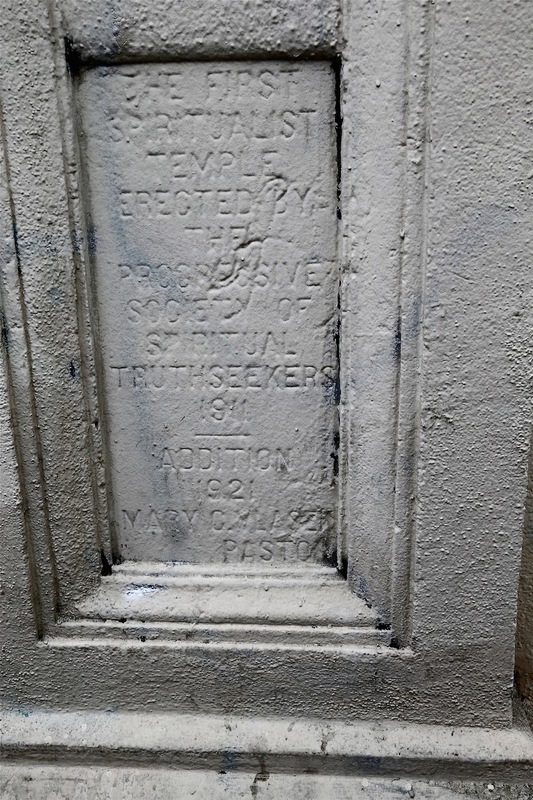 At the far corner of the studio on Sunset and Vine stands a bank which also has a Houdini connection. It was here in the basement that the S.A.M. Houdini collection was housed (trapped actually) for many years. Richard pointed out that the ghost of Fatty Arbuckle is also said to haunt this stretch of Sunset Blvd. 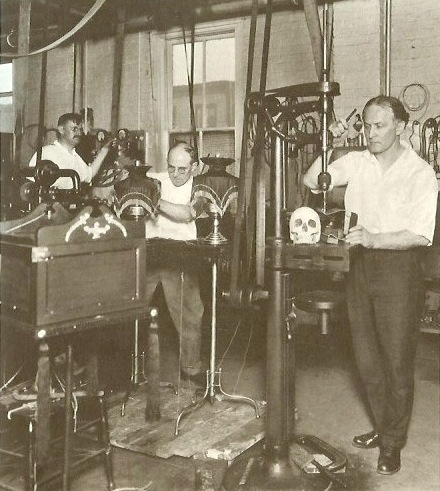 Famous Players-Lasky Studio in Houdini's time (Hollywood Heritage). After pulling a Houdini escape from traffic on Sunset Blvd, we continued up into Laurel Canyon and stopped in front of the fabled Houdini Estate. Richard nicely laid out the history and mystery of the property (and its related ghost stories -- this was a "haunted" tour after all). He also offered up his own theory on why the property is confused with Houdini and suggested an alternate location for where the great magician might have stayed. I admit, I found his ideas on this pretty intriguing, and it could shake up my own thinking on this. It's a little too much to go into now, but maybe I can talk Richard into writing a guest blog for us at some point. After the house, we set out on a long trek downtown, passing the cemetery that holds Harry Kellar on the way. 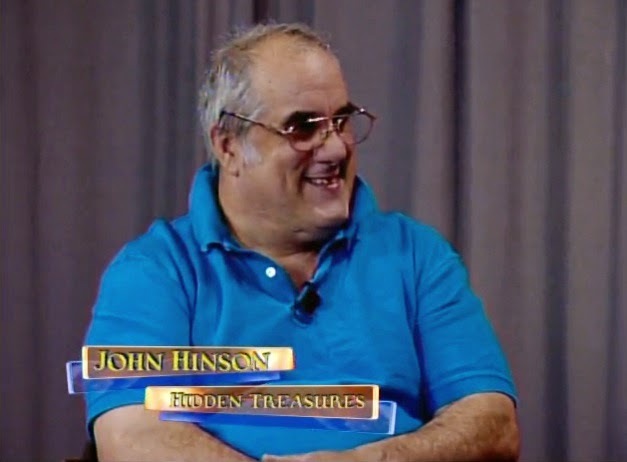 Richard kept the journey lively and always interesting with a steady commentary that took us from Houdini's movie career into the realm of the spirits! Arriving in downtown, I was very excited when we rolled up to the "First Spiritualist Church of Los Angeles." This is a famous L.A. Houdini location that I've somehow never found time to visit myself. It was in this church that Houdini, under his own test conditions, took a photo that produced a strange streak of light that he couldn't explain. It's come down as the only spirit-related phenomena that stumped Houdini. Amazingly, the church, which was founded in 1911 and expanded in 1921, is largely unchanged, at least on the outside. Here we disembarked from our van and took some photos, and I was able to take a quick peek inside. The interior has seen renovation and there was a service being held on this Sunday morning (no, not a seance, it's now a Christian church), so there was no way to recreate the photo of Houdini at the alter (reproduced in the tour booklet). The church is not in the best of condition, so how long this important Houdini location will remain unchanged is questionable. But what a treat to see! From the Church it was a short hop to the next location, and here's where Richard solved a Houdini mystery for us. We rolled up to the historic Los Angeles Examiner Building, where Houdini once performed a suspended straitjacket escape. I blogged about this back in November, but could not identify exactly when this escape took place. Well, the clipping in the booklet that made my jaw drop before we left Hollywood was an article from the Examiner which dates the escape as April 5, 1923. This was at the same time as the First Spiritualist Church photo and Houdini's Spiritualist lecture. 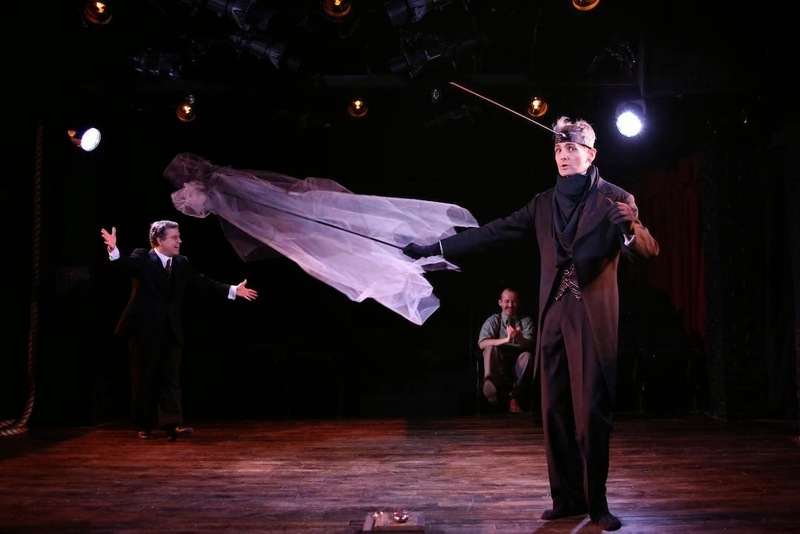 A busy time for Houdini in Los Angeles! 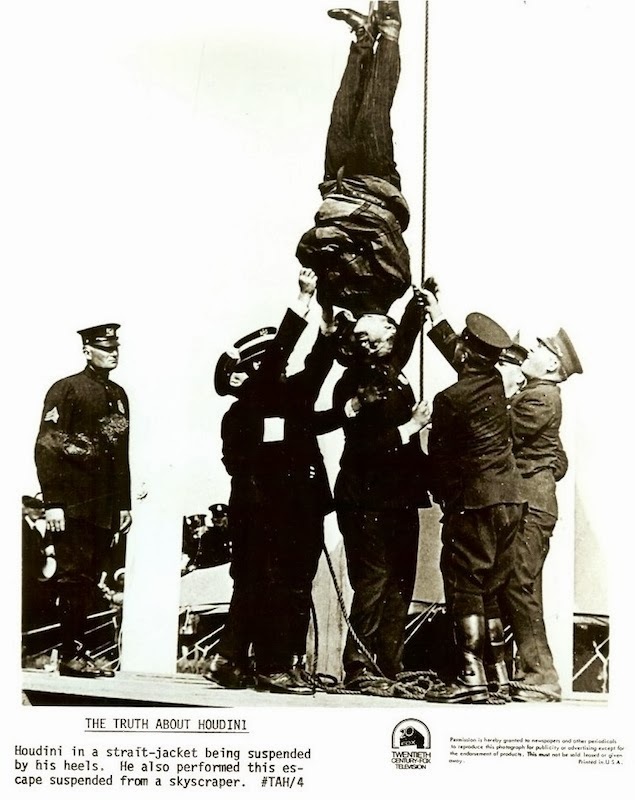 The clipping also included a photo of Houdini being strapped into the jacket, and I was surprised to see that it was the photo used on a recent episode of Pawn Stars to authenticate a Houdini straitjacket (which sold in auction in 2011). So not only do we now know the date of this escape, but we know which straitjacket he used that day. 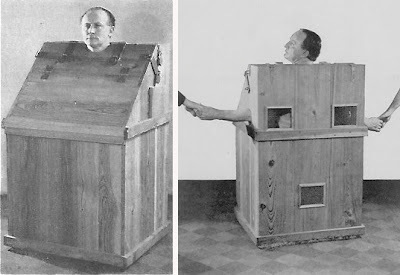 It's wild that in just a few months we've gone from never even knowing that this escape happened, to now knowing more about this than probably any other single suspended straitjacket escape. Another interesting detail in the clipping (which, unfortunately, does not include the full text) is that the cameraman who took the photos of the escape that day from the 3rd floor of the Los Angeles Railway Building across the street, dropped his camera to the street and almost fell himself. The camera was destroyed, but the pictures of Houdini mysteriously survived. Is that a ghost story? Maybe. From the Examiner Building we proceeded down Broadway and turned up Hill. Here Richard pointed out the location of the long-gone Hillstreet Theater. This is where Houdini gave his first ever lecture on Spiritualism. This was a point of pride for me as this is not something covered in most books, and I suspect Richard learned about this from WILD ABOUT HARRY. 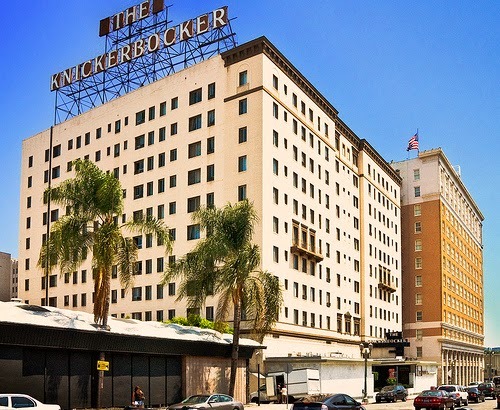 We then jumped on the freeway and headed back into Hollywood -- completing a nice circular route -- and drove past the Knickerbocker Hotel. It was here on the rooftop that Bess and Edward Saint held the Final Houdini Seance in 1936. This is probably one of then most famous Houdini Hollywood locations and, as with these other sites, is still largely unchanged (although it's now private senior housing). We continued down Hollywood Blvd. and made a right turn at Houdini's star on the Walk of Fame. The final location Richard pointed out was, appropriately enough, The Magic Castle. Arriving back at Hollywood Heritage, we were able to buy copies of "The Haunted Houdini Tour" poster signed by artist Jose Cabrera. Our ticket also gave us admission to the museum, which contains the original office of Cecil B. DeMille and some wonderful silent movie memorabilia and equipment. It was a little late to catch the last brunch seating at the Magic Castle, so we instead headed to Du-par's in Studio City where my father treated us all to a lunch that included even more Houdini talk. Thanks again, dad! At the start of the tour, Richard said he and the organizers worried whether anyone would be interested in a Houdini-themed tour. Well, the three sold out tours that day certainly put that fear to rest. 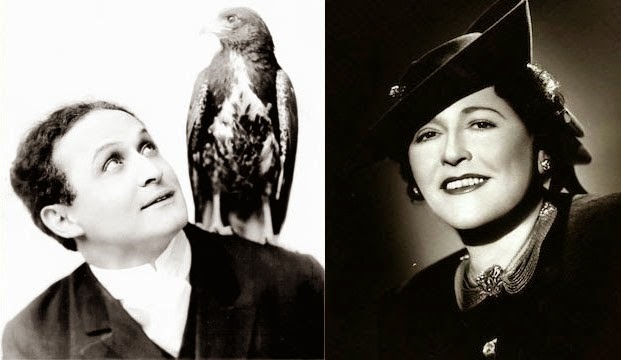 Here's hoping GOULA, LA Hauntings, and Richard Carradine might treat us to another ghostly Houdini event in the future. Houdini made The Late Late Show with Craig Ferguson last night on his 140th birthday (Houdini's birthday, not Ferguson's). 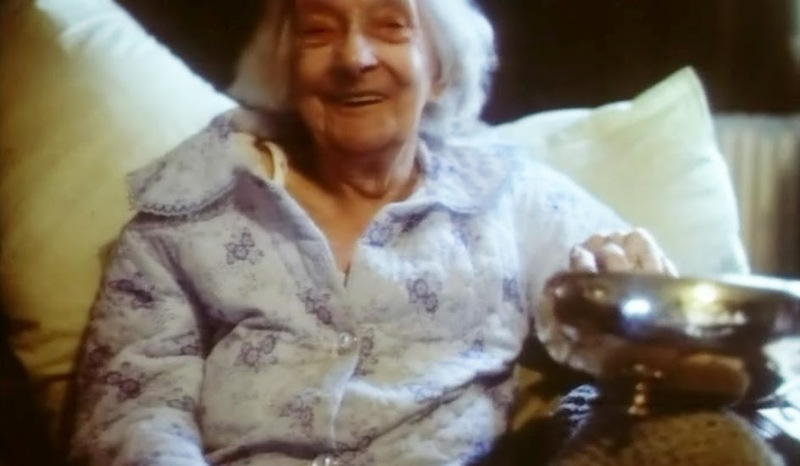 Not only was Houdini the topic of Craig's monologue, but later in the show guest Betty White talked about her "relationship" with the escape king. Of course, it was all in good fun and both Ferguson and White got off some pretty funny Houdini-related jokes (and one great Copperfield zinger). 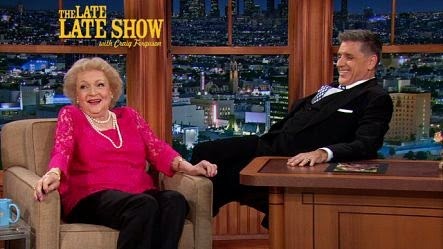 For the record, this was Season 10, Episode 1898 of The Late Late Show on CBS. 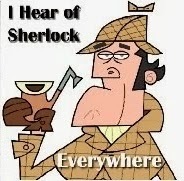 It first aired March 24, 2014. Here's a remarkable period photo of Harry Blackstone Sr. levitating Bess Houdini. I picked this up on eBay where I was surprise to see it cycle unsold twice. I've never seen this image before, and it's a really great shot featuring two true legends of magic. Although I can't quite tell if this is an actual performance of levitation or a photo composite (possibly done for a convention?). Of course, this isn't Bessie's first time being floated. While touring Canada early in their careers, the Houdinis performed a version of the Trilby levitation. The first time Blackstone visited my apartment he went from room to room, stopping now and again to examine a print, a painting or a book more closely. 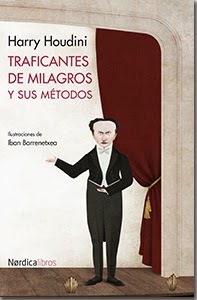 Finally, as he came to the colorful lithographs, he said: "Houdini used to have a place like this. The only difference is that all of his pictures were of Houdini." 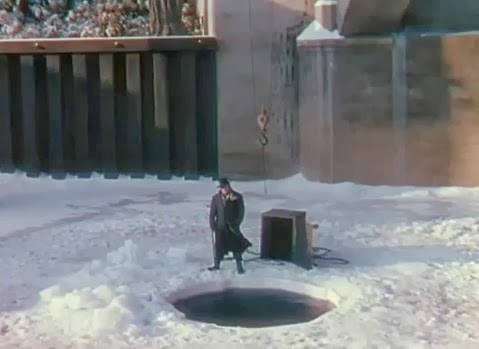 After the deaths of Houdini and Thurston, Blackstone became the preeminent magician of his day, and really the last great stage magician of the Golden Age of Magic. He died in 1965 at age 80 in an apartment just blocks from The Magic Castle in Hollywood. For more on the career of Harry Blackstone, check out the first part of an excellent profile by Michael Lauck over at iTricks: Blackstone: The Last Great Stage Show. Louella Parsons was America's first movie columnist. During her heyday with the Hearst press, her columns were read by 20 million people in 400 newspapers worldwide. Parsons began writing for the Chicago Record Herald in 1914. In 1918 she moved to New York City and started working for the New York Morning Telegraph. It was here she caught the attention of William Randolph Hearst, who hired her in 1923. She went on to become a fixture of the Golden Age of Hollywood, and is famous for leading the attack (on behalf of Hearst) on Orson Welles' Citizen Kane, and her rivalry with gossip columnist Hedda Hooper. She was portrayed by Elizabeth Taylor in the 1985 TV movie, Malice in Wonderland. 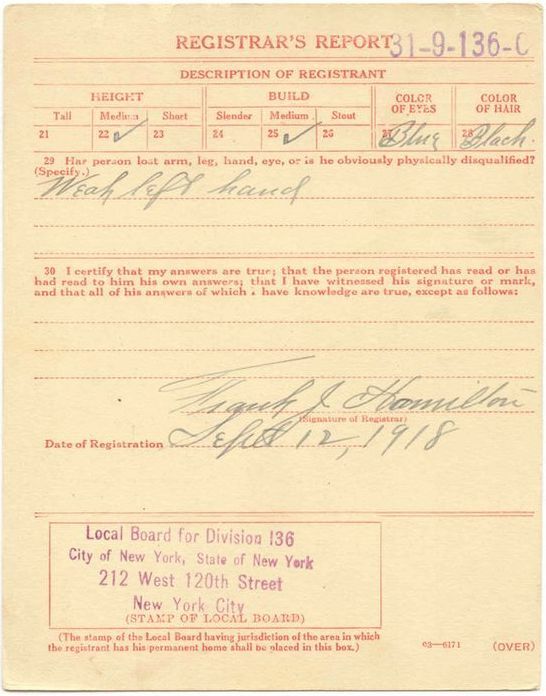 In 1918, when Parsons was still working for the New York Telegraph, she interviewed Houdini backstage at the New York Hippodrome. It's a remarkable piece -- her writing is a hoot -- that really captures what it was like to meet the Master Mystifier in person. 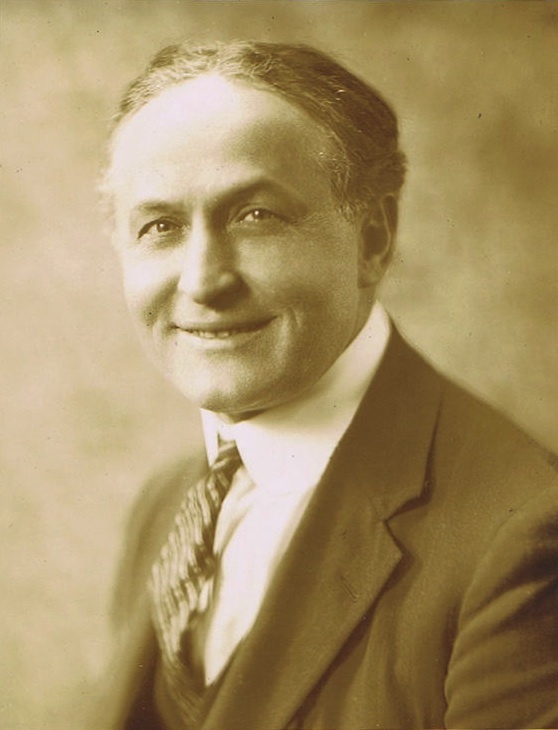 There are also some interesting comments from Houdini about The Bible and meeting evangelist Billy Sunday, and his thoughts on making movies. I thought this was one worth reproducing in full, so enjoy. When Houdini became a legitimate subject for a motion picture story, there seemed to me no reason why I should not pay him a visit and ask him to tell me how he managed to wriggle his way out of a straitjacket while he was suspended sixty feet in the air, where he concealed the yards and yards of gay colored silk he apparently extracted from a water-filled bowl, how he unlocked a bolted and barred box without key or chisel. The Rolfe studio way out in Yonkers didn't help solve this problem for me because it is too far from the haunts of man to permit a busy woman to wander there while there is work to be done. But his name on the Hippodrome program as one of the integral parts of "Everything" gave me an opportunity to visit him at the theatre. We saw his performance first from one of the loges and heard him speak in a Liberty Loan voice, now the fashion among people who have done service for Uncle Sam. Then he disappeared from view, and Mr. Conway of the Hippodrome staff came and told me Houdini would see me in his dressing room. "Find out how he does it," shouted all four voices. "Don't come back until he tells you," instructed an enthusiastic female in our party. With all these whispered words of advice simmering in my brain I followed Mr. Conway down the devious and mysterious back-stage passageways of the labyrinth-like Hippodrope. It was dark, and I had a sort of shaky feeling akin to the sensation one gets when the lights go out and a spiritualistic seance is put on with a ghostly voice sighing its way into the party. A cheerful voice, a bright light and an interesting personality--all belonging to Houdini--made me forget the spooky feeling of a few moments earlier. "Won't you come in?" invited Mr. Houdini. His pet eagle echoed the invitation by flapping his wings, and so I entered the presence of the master magician with the thought uppermost in my mind, "How do you do all this magic?" The thought is twin to the voice and in two minutes I had put into words what had been singing in my mind. "Won't you tell me how you untied yourself?" I asked. 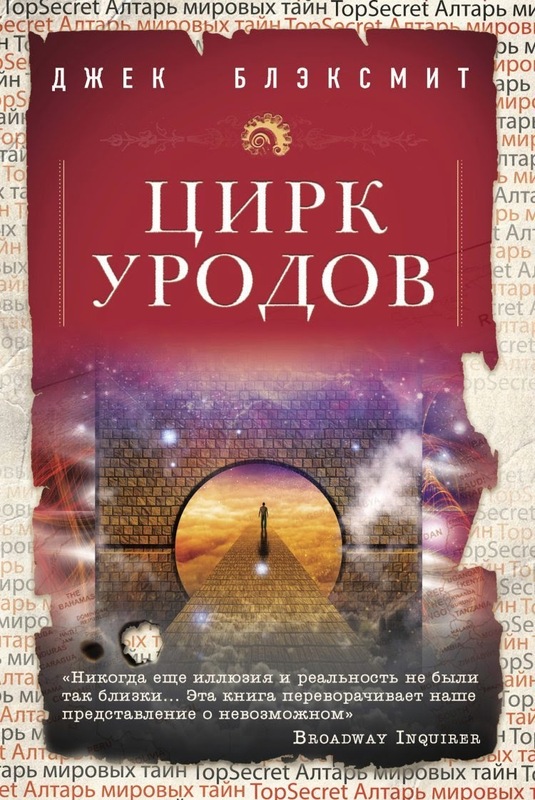 "If I tell you," he said, "it will be no secret." "But if I promise never to tell?" "Ah, many have asked the same thing, but I have promised myself to carry my secret to the grave," he said. "If you knew, you would not consider the feat marvelous or even interesting." 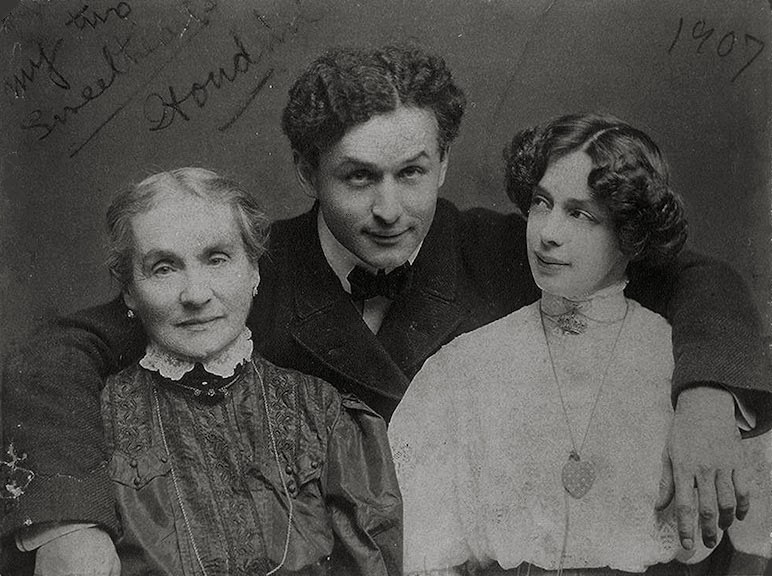 Houdini, and his name has been legalized, comes from a small town called Appleton, Wis. Appleton is famous also as the birthplace of Edna Ferber and Dr. John Murphy, Chicago's great surgeon. "When I was a small boy in Appleton," said Houdini, "my mother used to bake apple pie. She would lock it in a pantry and it would disappear. I was the guilty culprit. Apple pie is probably the only thing which would drive me to such desperate deeds--and even today, for a piece of my mother's pie, I would commit a theft." "Doesn't she bake any more pies for you; and do you really think such rich pastry is good for you?" I asked, wondering if he didn't have to diet with so much depending upon his physical perfection. He handed me a photograph of himself and two women. Pointing to the elder of the two, he said: "My mother left us five years ago. This is my wife, and we are unfashionable enough to still like each other after twenty-four years of married life." Then we came to the subject of pie as a diet. Houdini makes no restrictions in eating when he likes. He is extremely proud of his stomach, an endowment, he says, of an ancestral cleanliness. He is proud of his family and spoke not only in tender, proud tones of the sweet-faced little mother, but of his rabbi father, who brought him up in the strict Hebrew church. 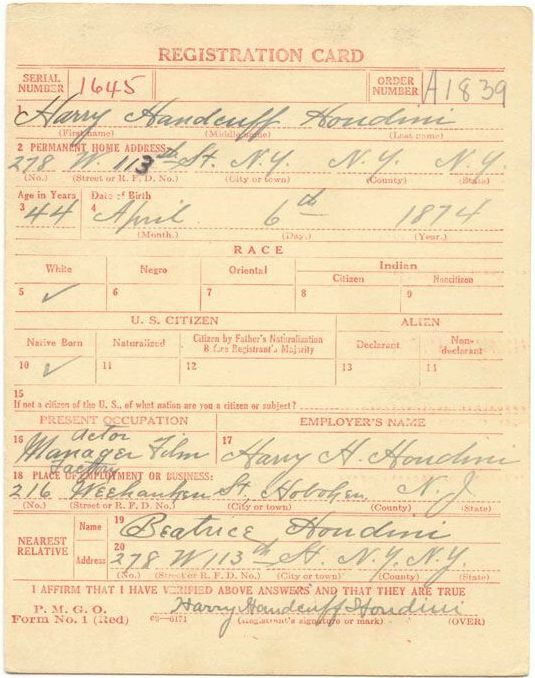 Houdini is a Jew, and proud of it. "Once I went to a talk with Billy Sunday," he said. "He talked about the Bible to me and I went home and read it; the next day I was a better Jew than I had ever been in my life--that is what Billy Sunday did for me." We talked about every subject in the world but moving pictures. 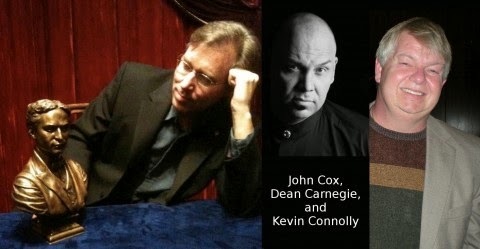 We talked about reincarnation, transmigration of the soul, the Sir Oliver Lodge theory, and in merely a superficial discussion, just scratching the surface as it were, Houdini betrayed himself as being a rarely well-read and well-educated man. He does not talk to get an audience, but after the manner of a man who knows his subject. Finally we came to motion pictures. Houdini is right now nursing a broken wrist and a bumped head. "I had to go into pictures to get these," he said, pointing ruefully to his injured members. "You see, I don't have any doubles. I do all the stunts myself. Some of the business Arthur Reeve left out of the scenario, with instructions for me to get out of any predicament I was in as best I could. Well, I followed his advice and got these." But Houdini likes making pictures. He says it is a sinfully easy way to make money. Attention here, all you hard-working stars, who sigh over the vicissitudes of the picture-making game. "Why, the director tells you what to do, and you do it. 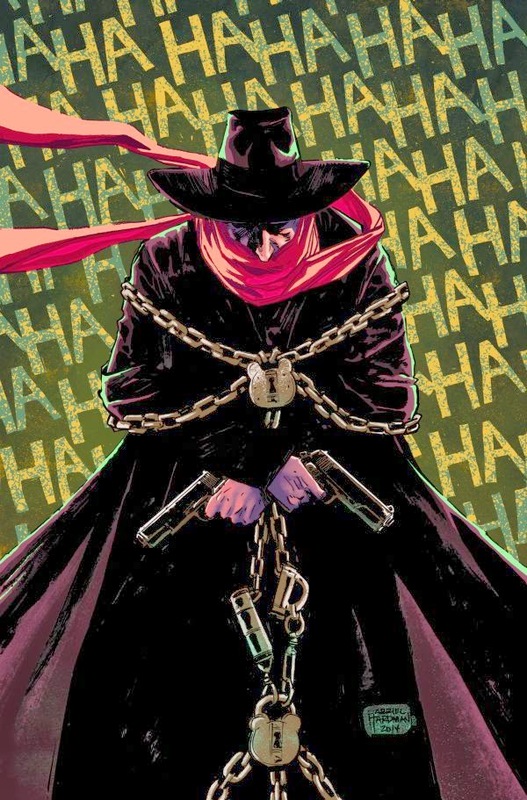 One thing," said the master magician, "there are no fakes in the serial we are making. I have done everything called for, without calling in any help, and our fights have been real fights." 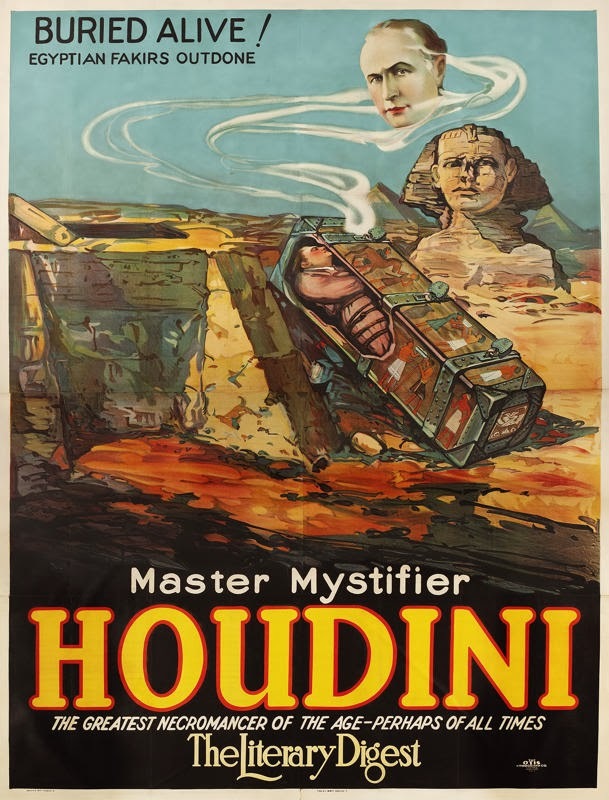 The Rolfe serial, "The Master Mystery," is the subject of great enthusiasm with Houdini. He likes it, and thinks the public will enjoy the tale of adventure it unfolds. 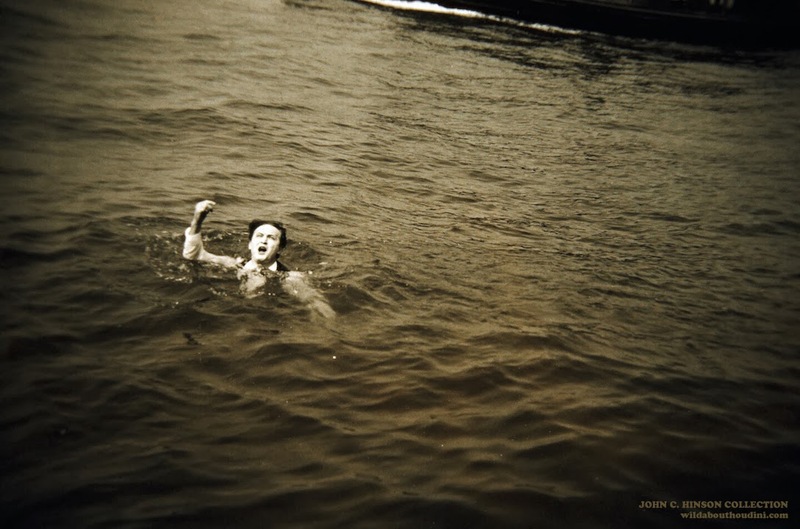 "You know the only thing that worried me," he said, "when I was taking the picture. I have never acted with women and I was afraid my wife would not exactly like my making love to these girls, even if it was only for the benefit of the camera." "Did she mind," I asked, amused at this naive confession from a man who had been learnedly discussing philosophy and religion but a few seconds ago. "Not a bit," he said. "We both like the young ladies very much. They are sweet girls. You see, I am not much of a ladies' man." I should say Houdini is very modest. He has nice gray eyes, a singularly attractive smile and a most engaging manner. The picture taken of himself some years ago with his wife and mother shows a very handsome young man. He is older now, with hair just beginning to grow thin at the temples. Every few seconds we came back to his art. I call it art, for, black magic though it may be, he has certainly raised it to the plane of artistic endeavor. He stands unique and alone. 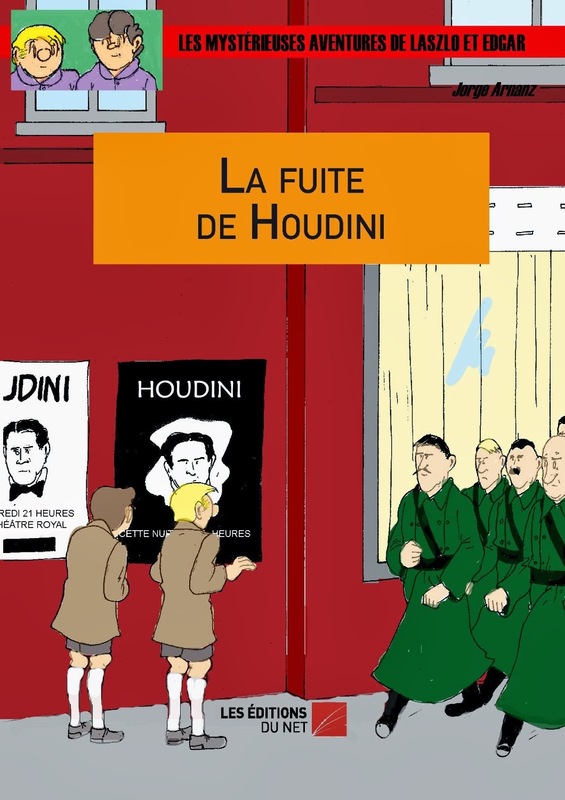 There is only one Houdini. There will probably never be another one, for he is determined to bury his secret with him. "I have not betrayed my secrets on the screen, though I have had some difficulty in keeping them from the watchful eye of the camera," he said. 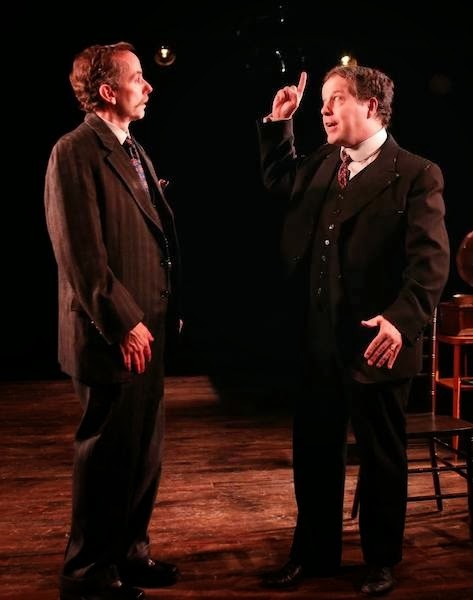 I had to return to my box at the Hippodrome without the secret, but Houdini, much after the manner of pleasing a child who has been grievously disappointed, showed me how he can disjoint his thumb, a trick I have never before seen done. Just as I was leaving Houdini's dressing room he confessed to me I was entirely different from what he expected to see. "I had a mental picture in my mind," he said, "and you are just the opposite." He didn't tell me whether I had failed to measure up to his expectation, but then, as I said--Houdini is a gentleman. 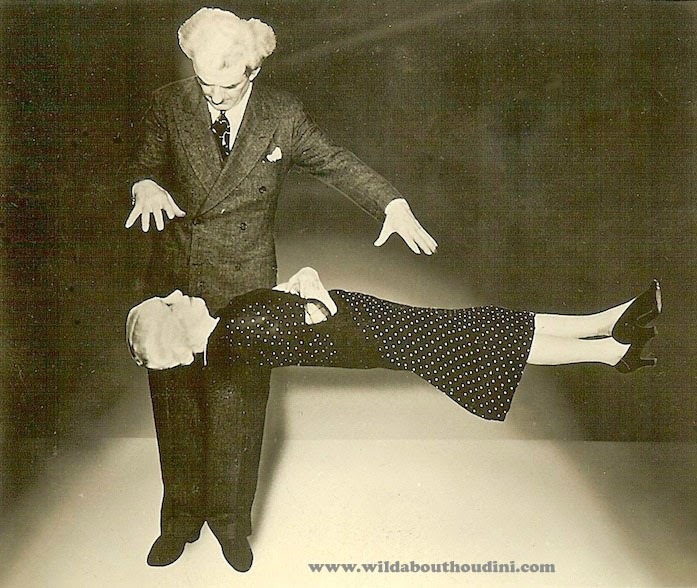 If you're curious, the trick that so amazed Louella was Houdini's thumb racket, which you can see a brief clip of HERE. For another portrayal of Louella Parsons, check out the excellent HBO movie, RKO 281. "I wrote this article for a trade magazine read only by magicians. 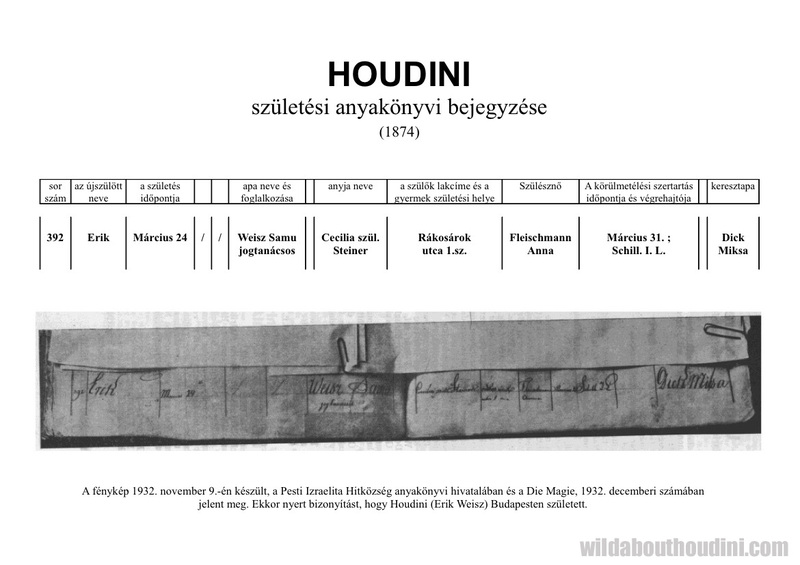 Since interest in Houdini continues to swell in the media (with multiple major projects coming to fruition later this year), and since his 140th birthday is less than a fortnight away, I thought I'd recycle the article for a broader audience. Enjoy!" 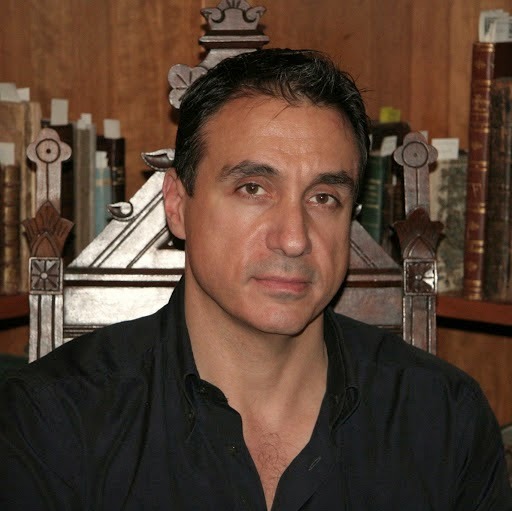 David has posted the article on his own blog, Baroque Potion, and also on the popular Popehat.com (where it's garnered some nice comments). So if you missed it in The Mandala, have a read online! Even though it was scheduled for release on March 24, Sherlock Holmes and The Escape Artist by Fred Thursfield is shipping now from Amazon.co.uk. In fact, Amazon currently shows only 5 left in stock. 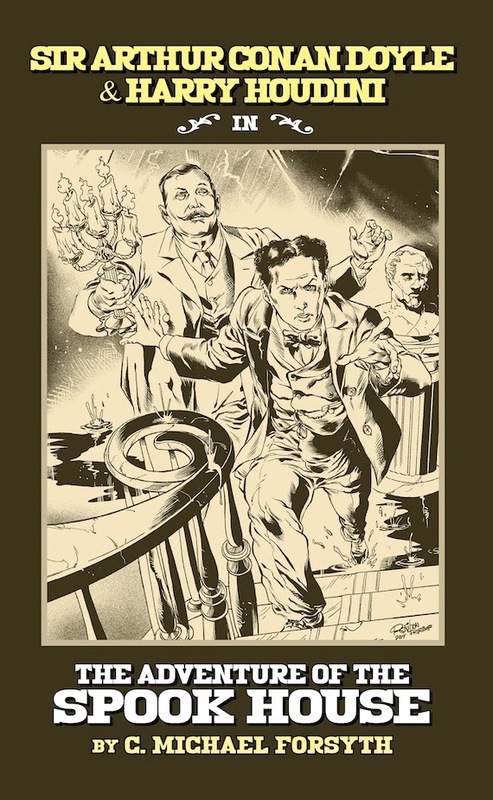 The book finds Sherlock Holmes, Mary Watson and Houdini joining forces in a spiritualist debunking adventure. This is Thursfield's fourth Holmes novel. 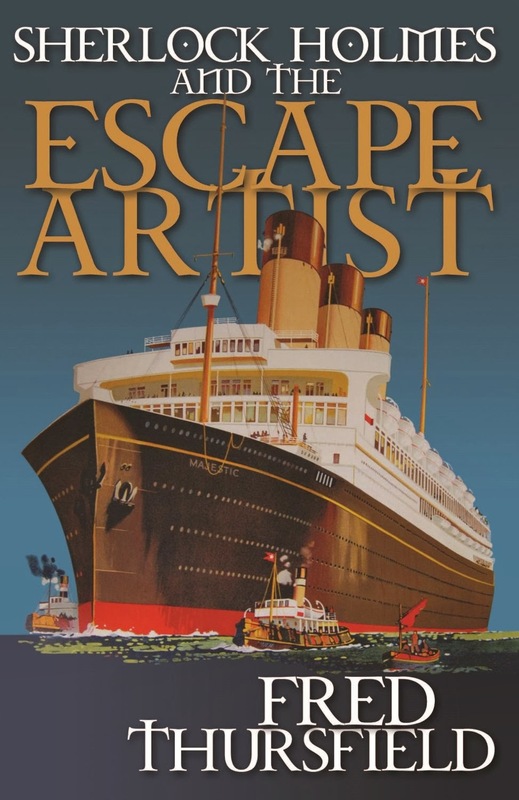 Sherlock Holmes and The Escape Artist is released by MX Publishing. So far it looks like the print version is only available in the UK (purchase from Amazon UK). A Kindle Edition is available in the U.S.
UPDATE: The paperback is now available on the U.S. Amazon.com. The talented crew at Ars Felix have partnered with the Expert Playing Card Co. and the Conjuring Arts Research Center and have relaunched their Kickstarter campaign for the Houdini Magic Séance Poker Playing Card Deck. 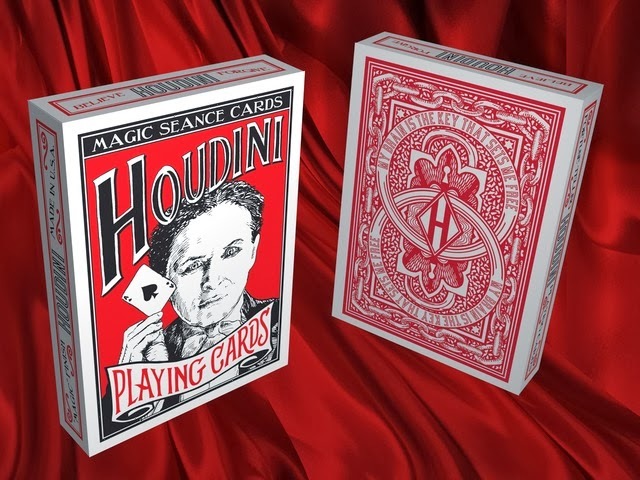 This hand illustrated deck of Houdini themed playing cards feature important figures from Houdini's life, full color painted court cards, and special "Ouija board" pips. The card back design features chains and padlocks, a pair of linked magic rings, the "H" crest as found on Bess Houdini's letterhead, and Houdini's favorite epigram: "My brain is the key that sets me free." This is Ars Felix's second stab at funding their deck, so click on over to Kickstarter and help make the Houdini Magic Séance Poker Playing Card Deck a reality. The campaign ends on March 31, 2014.